Length: 2023 mm / 79.6"
Height: 1091 mm / 43.0"
A Lightning for the long haul, the XB12Ss rolls on a 54-inch wheelbase that provides a more relaxed riding position and more room for a passenger. The seat is taller and wider than that of the XB12S, and covers an expanded storage compartment. Larger frame side panels give the Lightning Long a fuel-in-frame capacity of 4.4 gallons and extended range. 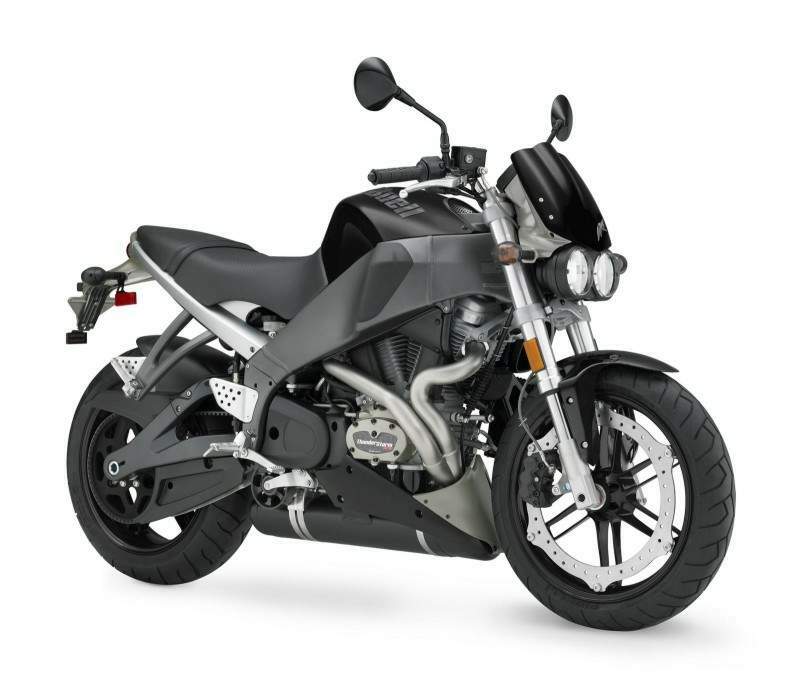 Responsive propulsion is provided by the Buell Thunderstorm 1203 V-Twin with Buell InterActive Exhaust. The handling remains quick and responsive. Updates to both the 1203 Thunderstorm V-Twin and 984 Thunderstorm V-Twin engine enhance performance and reduce maintenance cost (see separate Thunderstorm release for details). Each Lightning model is pre-wired for installation of accessory heated hand grips, with 18 peak watts per side and High and Low heat settings. 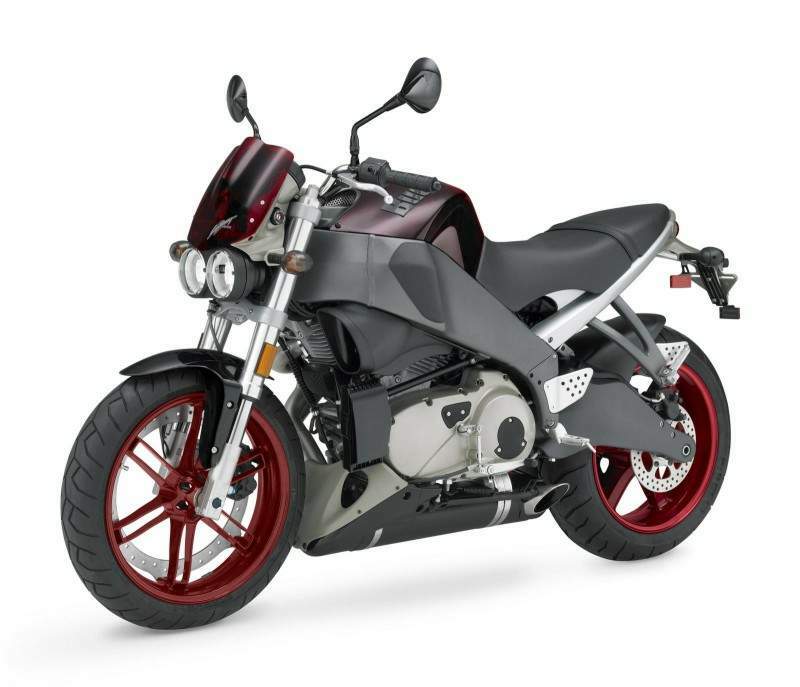 The instrument panel styling is refreshed and the tachometer reflects the new 7100-rpm redline on models equipped with the 1203 Thunderstorm engine. of fuel in the frame mounted tank. And secondly you get a pillion seat that is actually worthy of the name. It's still a fine looking bike, it's well proportioned and definitely has character, even before you hit the starter. The optional extra translucent bodywork is a conversation piece, though I suspect it would look just as good in solid black as well as being a few hundred pounds cheaper. But having mentioned the starter, let's get on and ride, shall we? 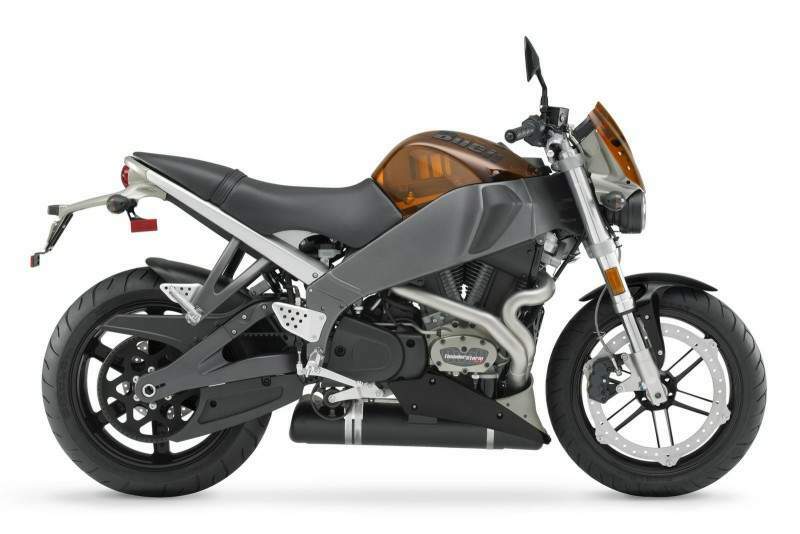 Starting the Buell is straightforward and never caused any concern. Tickover is lumpy but regular, though the vibration is a little disconcerting. Deceptive, too, as the engine smooths out dramatically at a couple of thousand rpm. Blip the throttle and note the typical Buell response - revs climb fast but thebig flywheel makes them slower to drop. Pull in the surprisingly light clutch, remark to yourself how much better the gearbox Stylish, yes. But that speedo isn't the easiest to read in the heat of the moment...is on the Dyna Harleys and wonder when the improvements will find their way onto the Sportster (and therefore Buell) boxes as you hammer it into first and pull away. The vibration, while never entirely absent, decreases dramatically and speed increases in a totally linear way - open the throttle more to accelerate faster but there are no sudden steps or lurches, just this huge wave of thrust. Once you're moving the gearshift seems to improve as well, though it's still agricultural compared to newer Harleys, let alone oriental machinery. The rate at which you gain speed is quite surprising as it doesn't feel anywhere near as quick as the hard to read speedo indicates.